The Pasmatek Gold Dual Power. 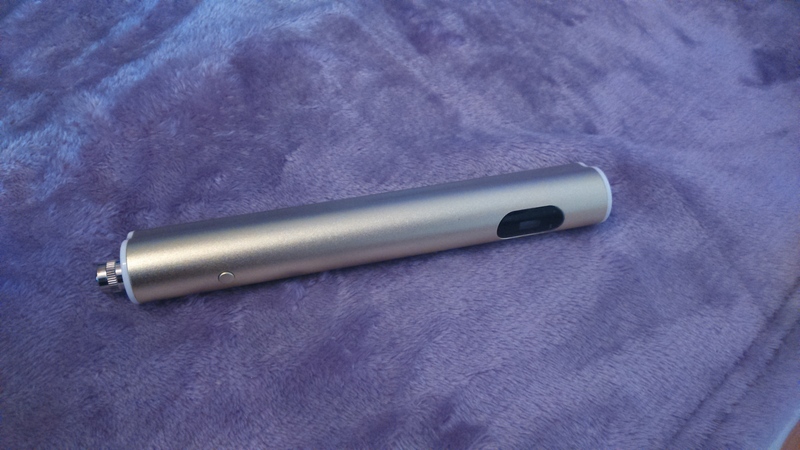 This is a sleek portable hand-held device. 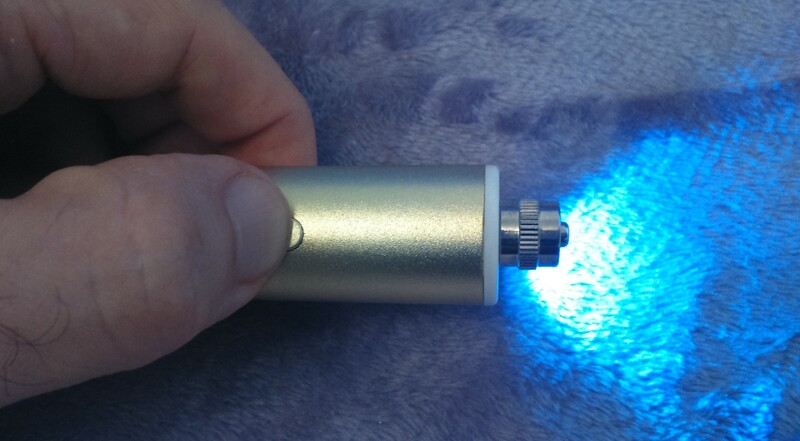 It is very versatile as it is a portable device and it has relatively small dimensions which allows you to take it around easily. 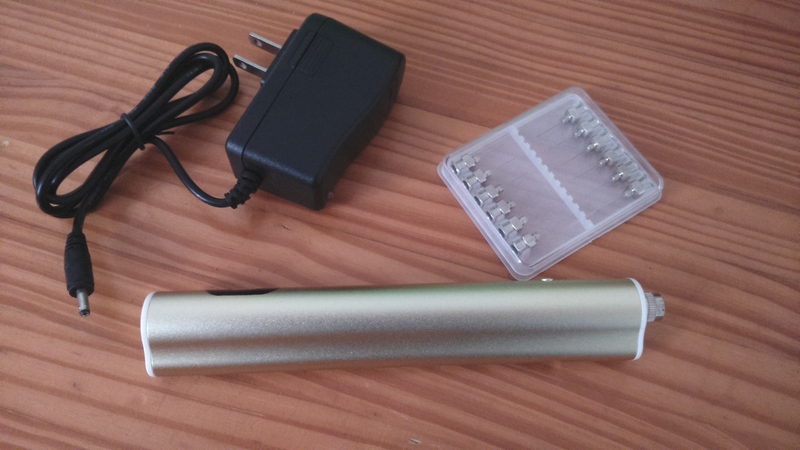 It has an embedded Lithium Iron battery and it is easy to carry it around with you. It has two power levels and a long life battery duration, over one hour of continuous use while generating the arc. Our overall opinion of this device it that it is a good tool for moles removal but not for most other aesthetic applications. This is because the setting of the device is relatively high. This means that it is difficult for a novice to use it appropriately for localised skin tightening and especially for eyelid tightening. The entire set. Main unit. Battery charger and Electrodes. Basic instructions of use of this particular unit. Install the fixed needle by rotating it clock wise. You can select a high and low power level depending on the use you make of the device. The difference in power output is very minimal and almost imperceptible. 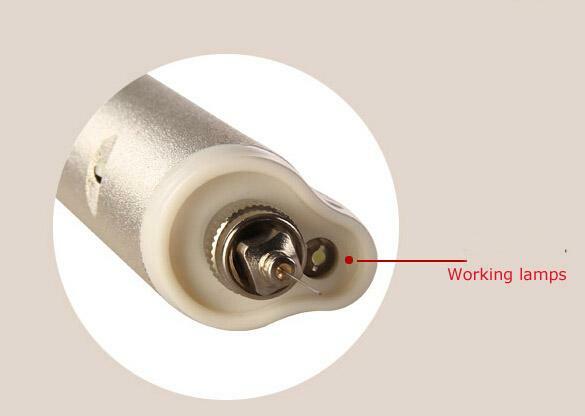 Press the button to power up the tip of the device. The unit will automatically power off when you release the button. 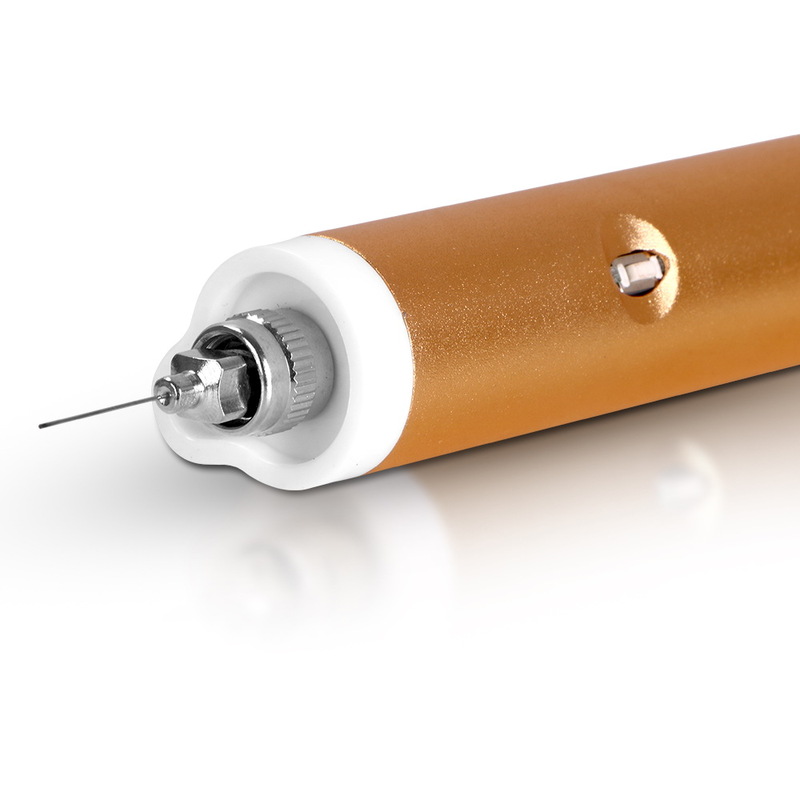 Like any other plasma device, when the tip of the device is close to the skin the arc will take place. Please note that the electrodes are non sterile and must be sterilised before their use in order to avoid cross contamination. Use the appropriate autoclave for this purpose. Please note that this is a soft tissue ablator device by definition, therefore it is essential that the aesthetic practitioner undergoes appropriate training before the use of the device. You can use our on-line training platform for free and obtain certification of training if you hire purchase this device from us or any of our distributors. 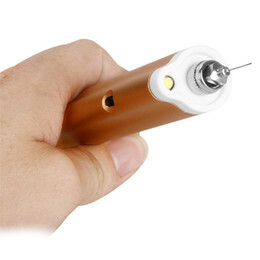 The device has a relatively powerful LED light to illuminate the area and you use the device. Applying the arc for extended period of time can lead to scarring. Keep the device away from direct sun exposure and away from naked flames as the device has an embedded battery. 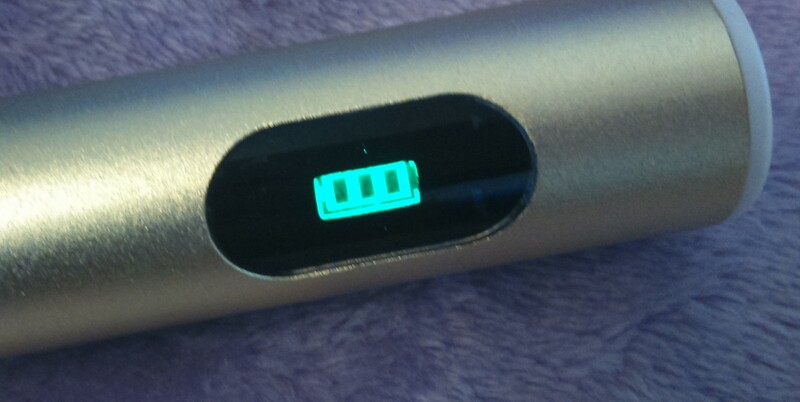 Detail of the battery indicator . The indicator has three notches. The relatively powerful arc emitted by the device which can make it more difficult and awkward to use for aesthetic applications like localised skin tightening, plasma eyelid lift etc. Difference between in output power between the two power levels, which is effectively minimal almost imperceptible.